With many property markets languishing at present many investors are looking at “manufacturing” capital growth by getting involved in property development. When all goes well the results are fantastic, but if things go wrong they really go wrong. 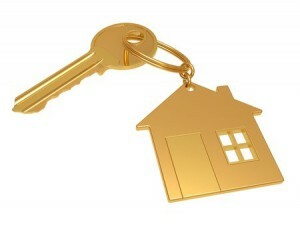 So let’s look at 10 Rules to help make your property development project a success. Before starting down the path of your first (or next) development project, get your finance pre-approved, have your ownership structures set up and have the core of your team of consultants selected. As a development project often spans two or more years, understand where you sit in the property cycle and pay attention to the big picture economic factors that will affect the real estate market. You don’t really want to compete your project in the depths of the next property slump- do you? 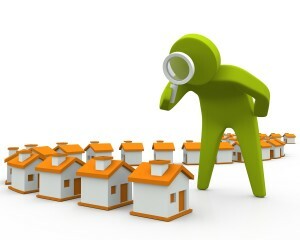 Don’t believe the selling agent when he tells you the property will make a great development site. the topography of the site. Do a detailed feasibility study – be realistic rather than optimistic and include all the little costs beginners tend to forget. Then allow a contingency in case unforeseen costs crop up, because they always will! It’s important to buy your development site at a price that allows you to make a fair profit; otherwise you’re immediately at a disadvantage. Your team is likely to involve a property lawyer, accountant, finance broker, architect, real estate agent and a project manager to oversee the whole process. It’s not unusual for developers to be overly optimistic with their scheduling. Setting realistic time frames will help you budget more accurately and remember to set aside some contingency money in case unforeseen problems stretch your schedule. Put everything in writing, especially when dealing with consultants and contractors. This helps avoid misunderstandings and confusion. And keep very clear accounts. If your paperwork isn’t in order, it’ll only cause headaches further down the line. To maximise your profits your project must suit its target market – not necessarily your tastes. 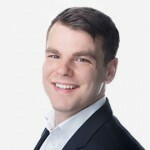 I’ve seen many investors make substantial profits through property development, however I’ve seen even more developers, some much smarter than me, lose it all through overconfidence or undertaking just one more development before the cycle ended or a project with too little built-in profit margin. A list of some of the lessons I’ve learned after being involved in managing over 200 property development projects for clients of Metropole over the last 5 years. Hopefully these rules will help steer you on the path of property development success so you won’t run into many potholes. 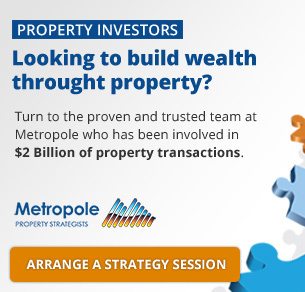 If you’re interested in getting involved at the “wholesale” end of the property market, the team at Metropole could help you become a property developer. Or better still have a chat with one of our team – please call us on 1300 METROPOLE or fill out the this form and we will contact you. Metropole’s Property Developer Program offers you the opportunity to purchase property at wholesale prices and lock in immediate profits. We enable you to become what we call an “armchair developer” and get all the benefits of property development without getting your hands dirty. We allow ordinary Australians to become property developers and take the hassle out of your investment by assisting you with all the development expertise you need. If this very basic promotional piece is news to you, you shouldn’t be getting into property development. Stick to your day job! And remember, if you’re the dumbest person in the room you’re in serious trouble of being ripped off for everything you own!!!! Great advise, employing the services of a property development company could be quite valuable, if you’re busy doing other things and you’re not an experienced developer. Getting strong tax deductions over time will also be very important to your profits.